Exploiting Software: How to Break Code. Buy now at amazon.com or from the publisher, Addison-Wesley. "It's hard to protect yourself if you don't know what you're up against. 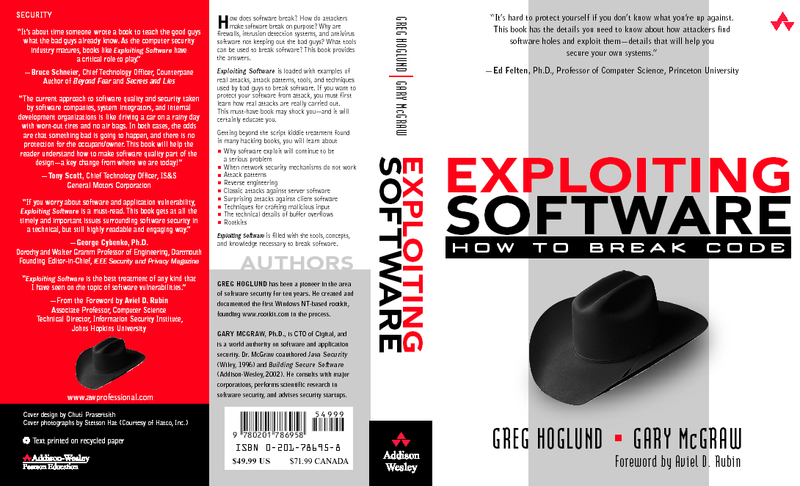 This book has the details you need to know about how attackers find software holes and exploit them—details that will help you secure your own systems." Copyright ©2004 Greg Hoglund and Gary McGraw. All rights reserved. Book published by Addison-Wesley. Web site hosted by Cigital.